Twitter said monthly users dropped by 1 million in the second quarter, and predicted that number will decline further as the company continues to fight against spam, fake accounts and malicious rhetoric on its social network. The shares plunged 17% in early trading. Monthly active users were 335 million - a decline from 336 million in the first quarter, San Francisco-based Twitter said Friday in a statement. Though that measure was up 2.8% from a year earlier, the company expects monthly visitors to fall again in the current period. Twitter blamed the projected drop on intensified efforts to clean up the platform, stricter privacy rules in Europe and changes to the way its service is used through SMS messaging. Twitter reported net income for the third consecutive quarter, which has helped drive the shares 79% higher this year to $42.94 at Thursday’s close. But the company gave a forecast for third-quarter earnings before interest, taxes, depreciation and amortization of as much as $235m, falling short of analysts’ average estimate of $268 million. Twitter’s user woes are similar to those of Facebook, which also has been plagued by manipulation, robot accounts and unrest about the growing influence of social media in the culture. Chief Executive Officer Jack Dorsey has said his priority is to reduce abusive conversations on the platform and the company said its machine-learning algorithms are identifying more than 9 milliion potential spam or automated accounts a week. The huge number of deletions have raised concerns among investors that Twitter - the favourite communications tool of US President Donald Trump - can’t attract a more general audience to supplement the politicians, entertainers and journalists who are among its prime users. The company, however, said the vast majority of malicious accounts are inactive or caught before they become counted among active users. While monthly visitors declined, Twitter highlighted daily active users as the best measure of success. The company said those daily participants on the site increased 11% from a year earlier, marking the seventh consecutive quarter of double-digit year-over-year increases. The company doesn’t disclose the total number of daily users. The service’s plethora of product updates and push into live video streaming have made Twitter less cumbersome to use, driving advertising revenue and profit in the second quarter. Revenue increased 24% to $710.5m in the period, topping the analyst average estimate of $697.3m. Net income was $100.1m, or 13 cents a share, compared with a loss of $116.5m, or 16 cents. Adjusted earnings were 17 cents a share. Analysts projected of 16 cents. Advertising sales have been bolstered by Twitter’s positioning as a destination for a wider range of live video content and as a place to find out “what’s happening now". The company has tried to improve the site to personalise it more for users, including overhauling the explore section of the mobile app to show curated content for breaking news stories and major events such as the recent World Cup soccer tournament. International revenue grew 44% in the quarter from a year earlier while sales in the US, the company’s largest market, increased 10%. 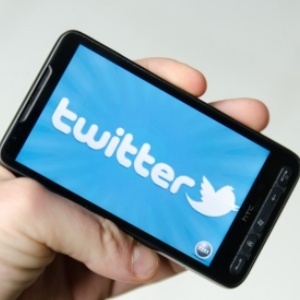 Japan remains Twitter’s second-largest market, growing 65% and generating $122m.